It’s not easy Making Change in a Democracy. It can be from within or without, violent or just complicated, led by heroic individuals or ordinary people, gradual or sudden. 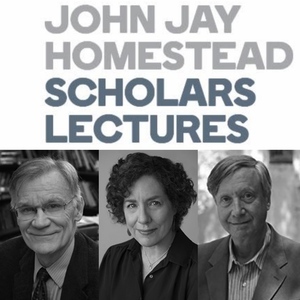 This year, John Jay Homestead will welcome three writers who address some of our most tumultuous changes. Lectures are held in the Ballroom at John Jay Homestead at 7 p.m. Registration begins at 6:30 p.m. with light refreshments. A book signing will follow the lectures. This is the long-awaited definitive biography of Frederick Douglass, the escaped slave who became one of the leading intellects and political leaders of his era, often called the “greatest American of the nineteenth Century.” Blight is the Director of the Gilder Lehrman Center for the Study of Slavery, Resistance, and Abolition, at Yale; author or editor of fourteen other books; and winner of multiple awards, including the Bancroft, Lincoln and Frederick Douglass Prizes. Weiss tells the gripping story of the climax of the fight to ratify the 19th Amendment, replete with heroism, skullduggery, and suspense, coordination and conflict with other reform movements, and leadership by individuals famous and less than famous. The book has been optioned by Steven Spielberg’s Amblin Television, to become a movie or limited series. Weiss is also the author of Fruits of Victory: The Woman’s Land Army of America in the Great War. Rather than presenting the Constitution as a cynical political bargain enshrining slavery in the new nation, Wilentz argues that it actually restricted slavery’s legitimacy, and kept alive the eventual possibility of antislavery politics at the national level. Wilentz is the George Henry Davis 1886 Professor of American History at Princeton, author of seven other books and co-author or editor of many more, and the winner of multiple prizes and awards. He is also historian-in-residence at Bob Dylan’s official website.